Share notifications and files between OS X, iOS, and Android platforms. Is there a better alternative to Pushbullet? 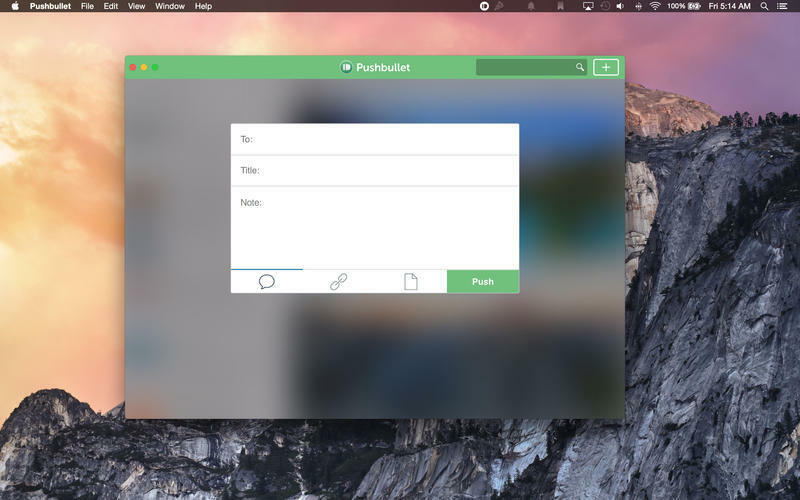 Is Pushbullet really the best app in File Management category? 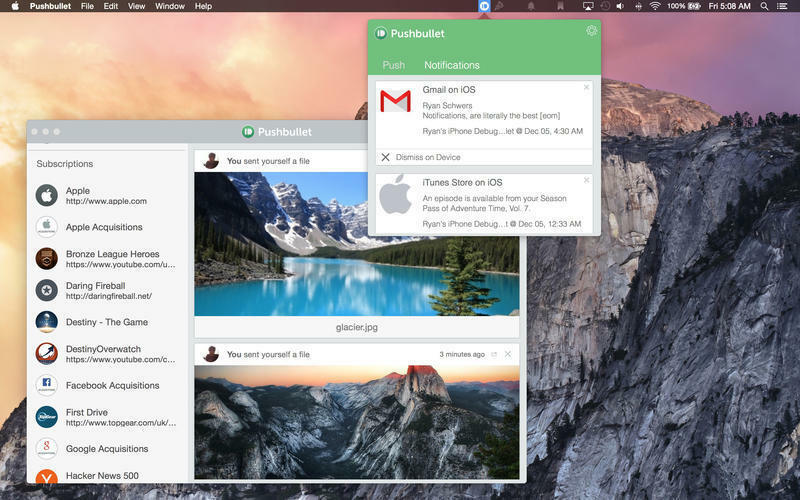 Will Pushbullet work good on macOS 10.13.4? See all of your notifications from your phone while working on your Mac. Instead of constantly grabbing your phone, see and dismiss your notifications right from your Mac. 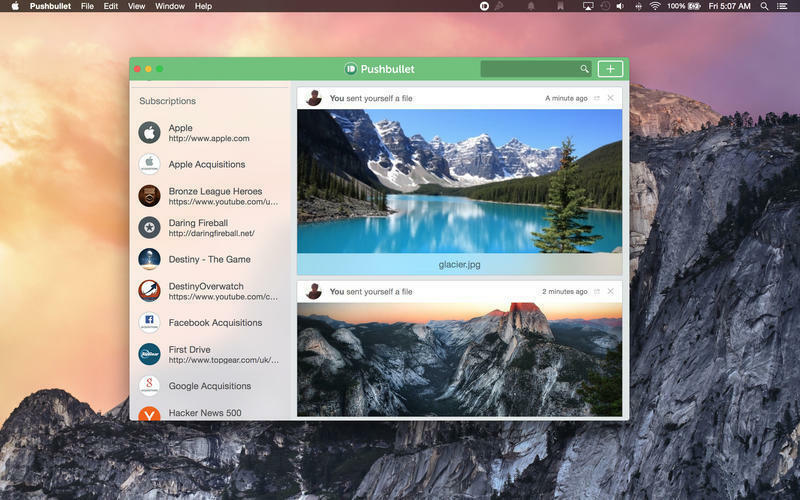 All you need is the Pushbullet iOS app. Seamless copy-and-paste between your devices. Easily share files from your Mac to your phone (or from your phone to your Mac). Share From Everywhere! We've added a Yosemite Share Extension so you can use Pushbullet right from your favorite apps to share with friend. We've also added a Share Service to be available in as many places as possible to share with Pushbullet. Files download automatically and open right from a notification. No more digging things out of your email inbox or Dropbox. Instantly get a link from your Mac to your phone. Links open right from the notification. Push from Right-Click! With the addition of our Share Extension and Service, you'll be able to use Pushbullet by right-clicking on photos, files, text, and more. Improved notifications and sync. We've improved our syncing code to deal with everything from putting your computer to sleep, to the network connection hanging. Now you should get your notifications more reliably, and pushes you send while offline will be sent later automatically.